I really enjoy our local farmer's market! They have a great selection of fruits and veggies, and all kinds of FRESH food! I went and stocked up recently on all my favorite items. Tomatoes from the farmer's market are my favorite! The peaches are so fresh, you have to eat them in a day or two before they go bad, but they are so good grilled. You could even make a peach salsa, and top it over grilled salmon. I was able to pick up all these goodies for less than $15! Zucchini is always great to pick up. I love making zoodles, and or grilling it with other veggies and making kabobs. Love supporting our local farmer's market!! 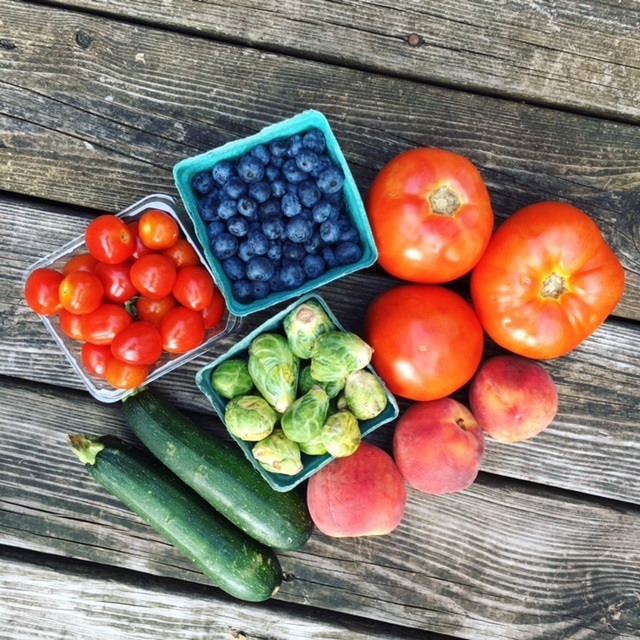 I love getting fresh fruit & veggies from farmers markets!